In aggregate, sponsors scored higher with sites, although sites said they sought similar attributes from sponsors and CROs. Jim Kremidas, executive director at ACRP, and Dennis Salotti, chief operating officer at Avoca, recently discussed the findings with Clinical Leader. Sites made clear what they want to see from sponsors and CROs. Jim Kremidas: Absolutely. Sites are looking for sponsors and CROs that focus on protocol quality and design realistic studies with realistic expectations. Drilling down a bit, sites are especially concerned about clear entry criteria and how visits are scheduled. They also want staff to be adequately trained on protocols and study indications. They want clear lines of communication and support throughout the entire life cycle of the study—especially after the study is completed. Sites expressed some frustration at being “left out” as clinical trials are being developed. Kremidas: That came through loud and clear. We make a big mistake when we fail to utilize the experience sites offer. It’s time to bring the sites into the discussion. For example, the site perspective is critical to advancing a standardized workflow throughout the entire clinical trial chain. Standardizing workflow will offer several benefits, including improved trial planning and quality outcomes. With their unique expertise, site leaders will be among the drivers of workforce innovation. Compensation is obviously a significant factor, but looking beyond that, what else did sites say they valued? From the sponsor/CRO perspective, what surprised you the most, and what in the survey results reinforced something you, in some way, suspected? Dennis Salotti: From the sponsor/CRO perspective, sites indicating the need for better communication did not surprise me. In our research and consulting practice across all stakeholders in clinical research, we often find effective communication at the heart of high-functioning relationships. I was surprised, however, with the importance sites place on inspection support, which was one of the top three correlative factors. Inspections ¾ and being prepared for inspections ¾ are an obvious focus for sponsors and CROs. What I found both surprising and interesting was that extending support to sites for inspection preparation had such a strong influence over a site’s likelihood to recommend a sponsor or CRO. Inspection support is something sponsors and CROs can directly act on to improve the site experience and it is a clear win-win-win for sponsors, CROs, and sites to collaborate on this activity. As you know, CRA turnover is a chronic problem in the industry. But the survey found a surprising take on that situation. Salotti: What I infer from the data and commentary is that respondents acknowledge and accept that CRA turnover is inevitable. While it isn’t a welcome occurrence, the data shows that how CRA turnover is handled and communicated is a more important and actionable attribute of maintaining positive relationships with sites than is the turnover itself. I think this is a very astute piece of feedback from sites given that how turnover is handled is directly in the control of sponsors and CROs, while the actual turnover itself is a multidimensional problem that is not fully within their control. What’s the right way to handle it? Salotti: It comes down to the key findings arising from the research—communication and ensuring CRAs are knowledgeable about the study in question. Sponsors and CROs can have open dialogue; the key is for sites to be proactive in their communications about personnel changes and to follow-through on concerns or issues raised. 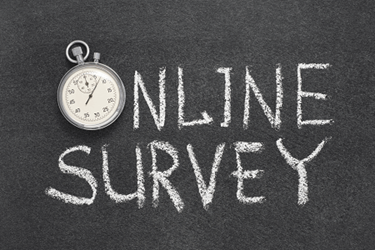 How do you hope the findings of the survey will resonate across the clinical trial industry? Kremidas: Clinical trials are growing more complicated every day. Complex protocols. More datapoints. Smaller patient populations for more narrow disease treatments. Each year, the FDA finds the same mistakes over and over in clinical trial conduct. I think it’s time clinical trial leaders take the next step forward by recognizing the need for standards to advance the professionalization of the workforce. If roles are clearly and consistently defined, it stands to reason that relations between sites, sponsors, and CROs will improve. That translates into higher quality, greater efficiency, and reduced costs for what will ultimately be better outcomes for patients. Salotti: I am optimistic that the findings will help sponsors and CROs recognize that sites are their true partners and, as a result, will strive to optimize the relationship. The insights generated from this research give direction as to where CROs and sponsors can invest resources to have the greatest impact: improving communication throughout the clinical trial process, providing close-out and inspection support, and soliciting feedback on protocol design. For additional results and findings from the survey, read the Avoca/ACRP white paper “Site Perspectives on Becoming a Sponsor or CRO of Choice”. Jim Kremidas is the executive director for ACRP, a not-for-profit association that represents the clinical research enterprise. Previously, he provided consulting services including support for investigator sites, academic institutions, sponsors, and suppliers. He was SVP of patient recruitment at two large CROs for over six years, during which he and his teams were responsible for developing and implementing patient enrollment strategies for global clinical trials. Prior to that, he spent 24 years with Eli Lilly and Company. He is on the advisory board of the Center for Information and Study on Clinical Research Participation (CISCRP) and is also a volunteer for the Clinical Trials Transformation Initiative (CTTI).